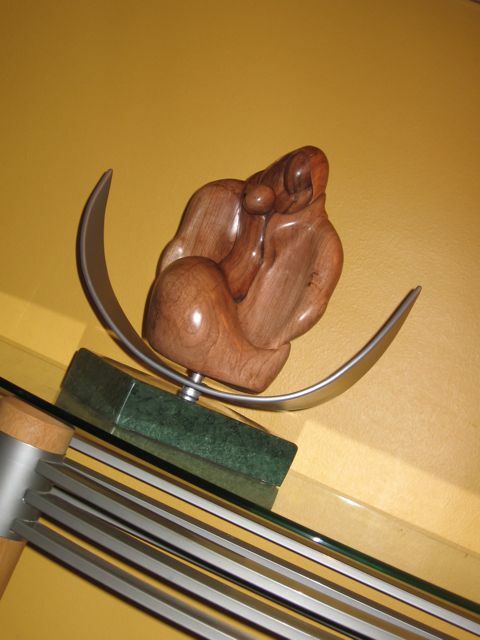 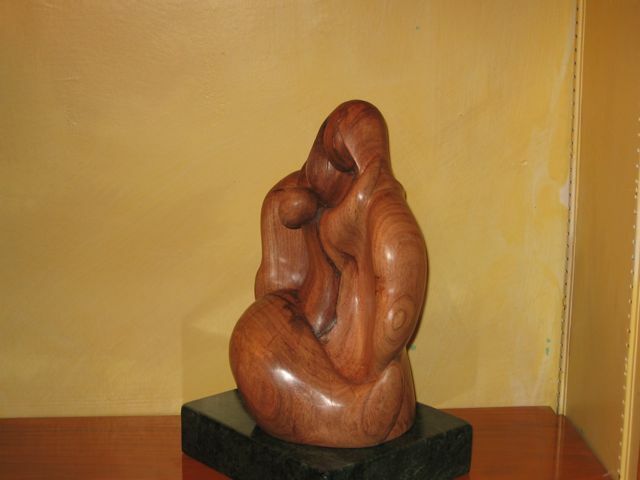 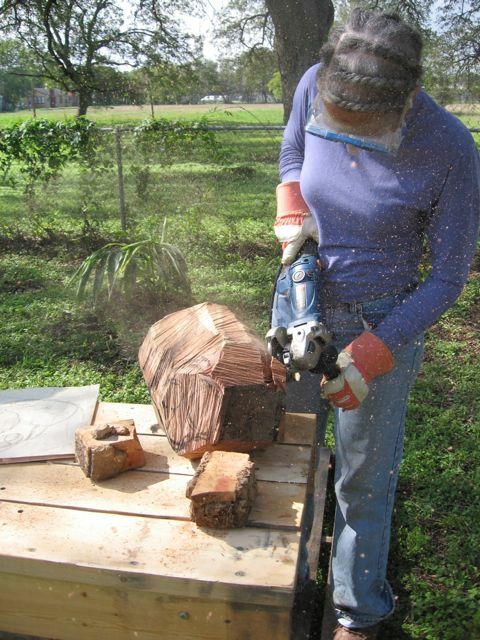 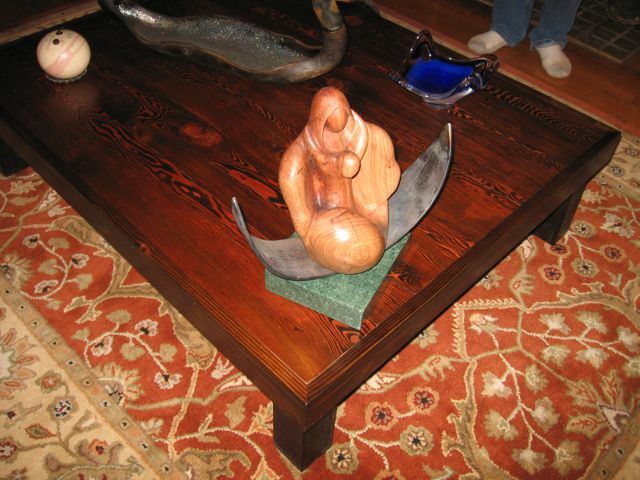 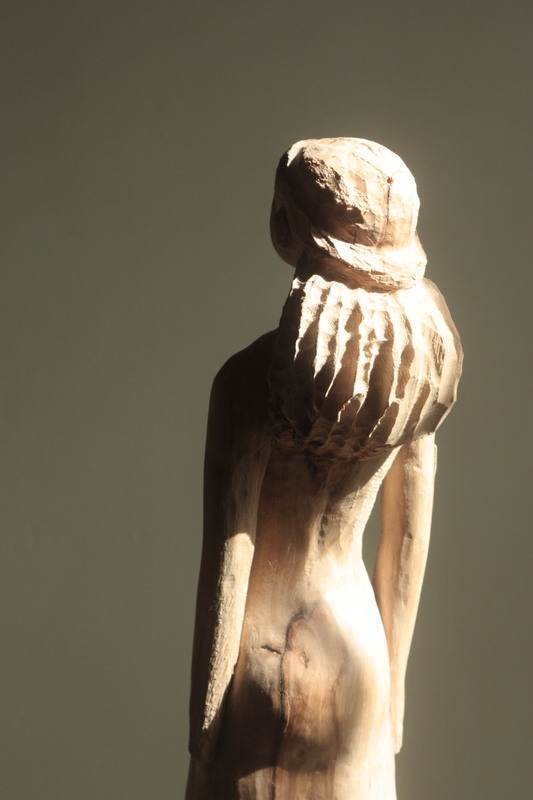 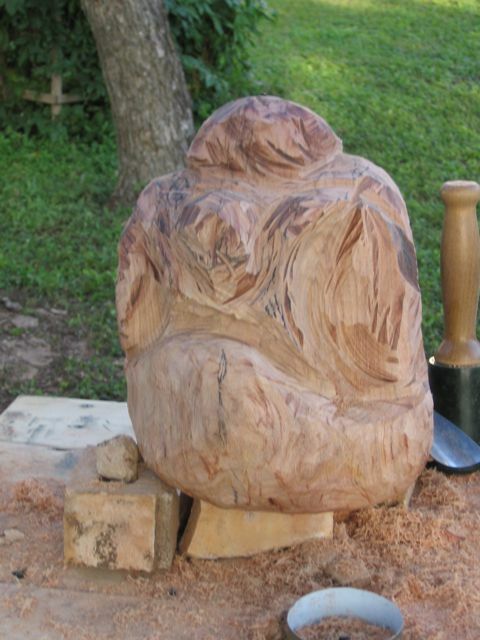 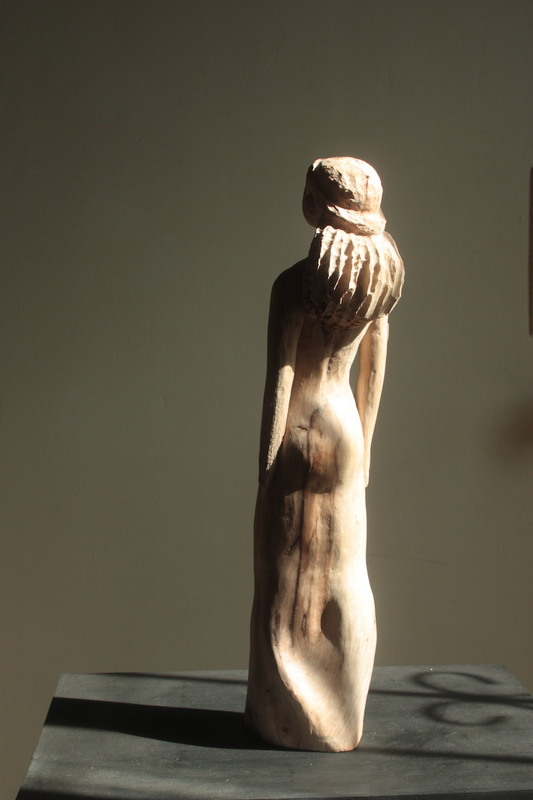 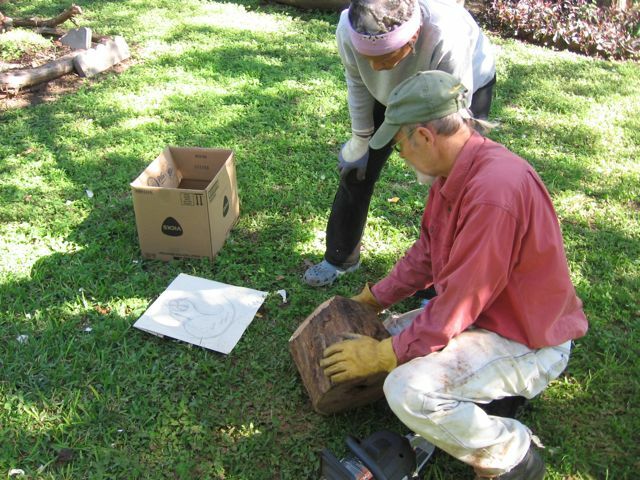 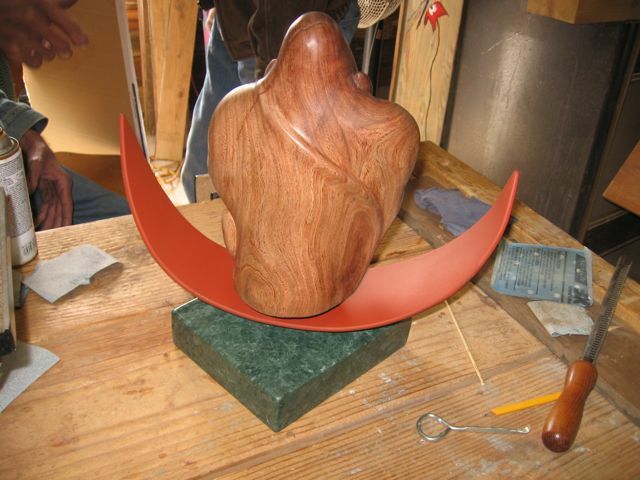 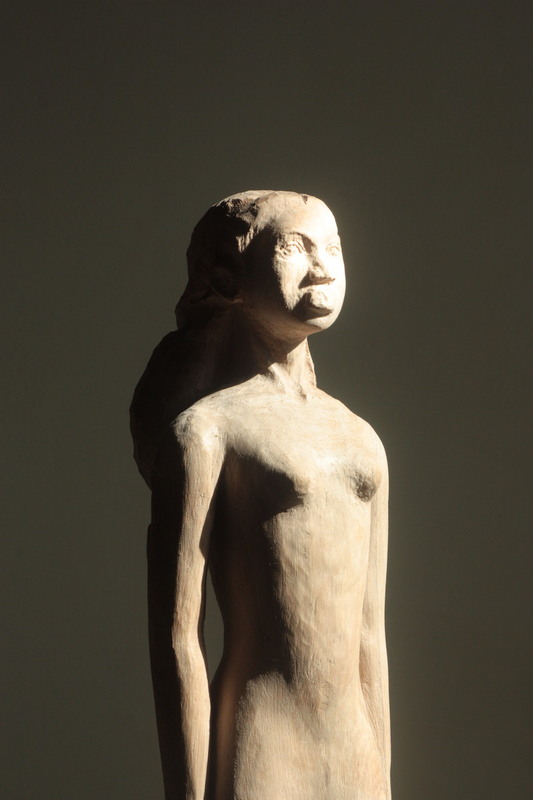 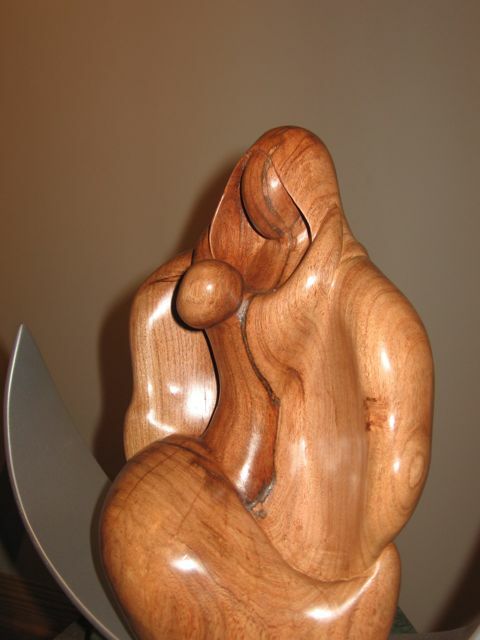 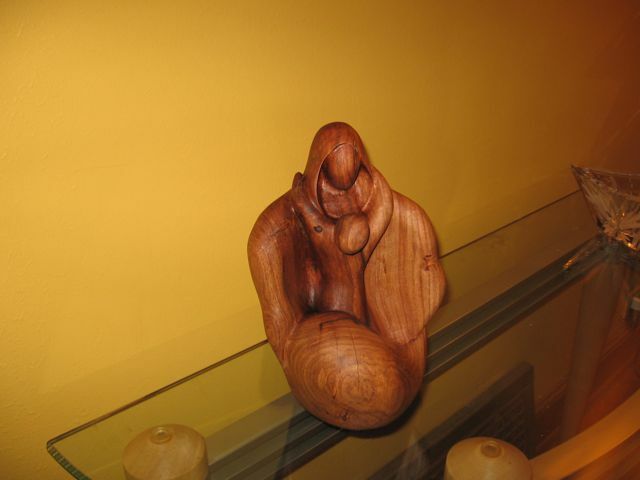 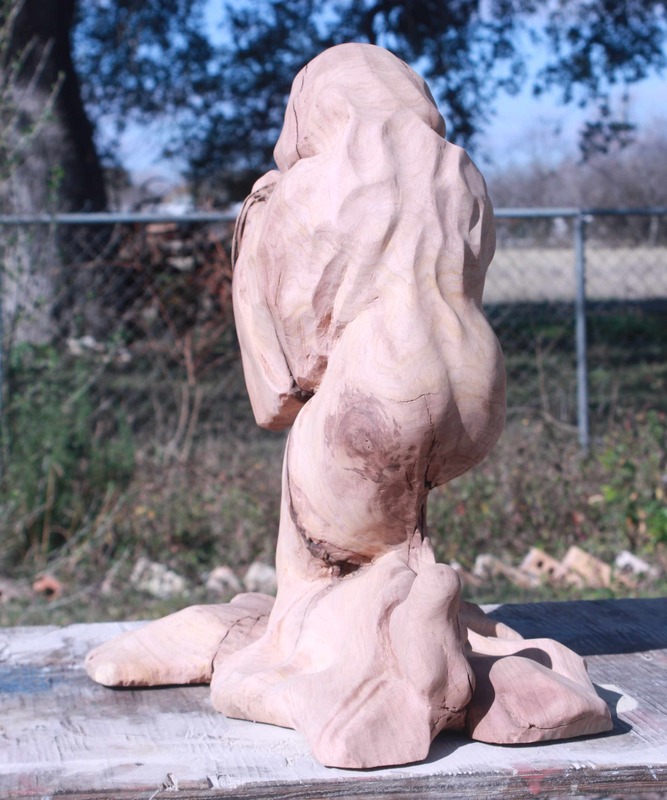 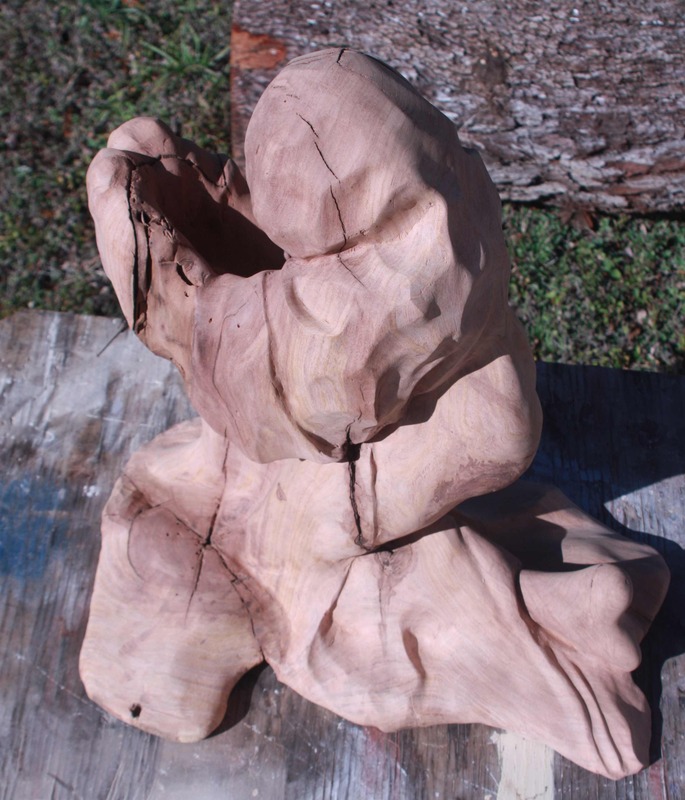 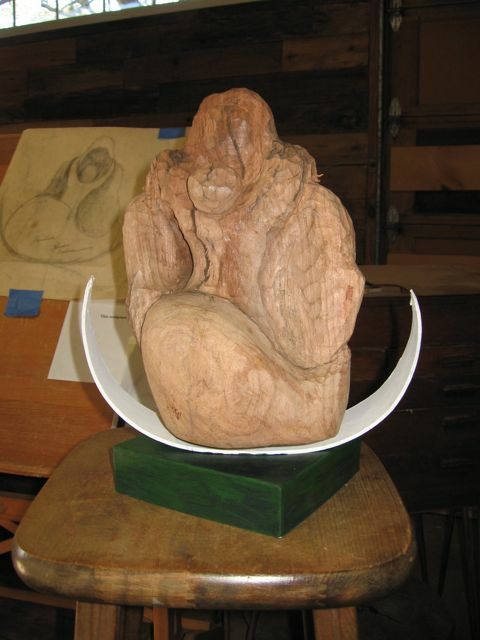 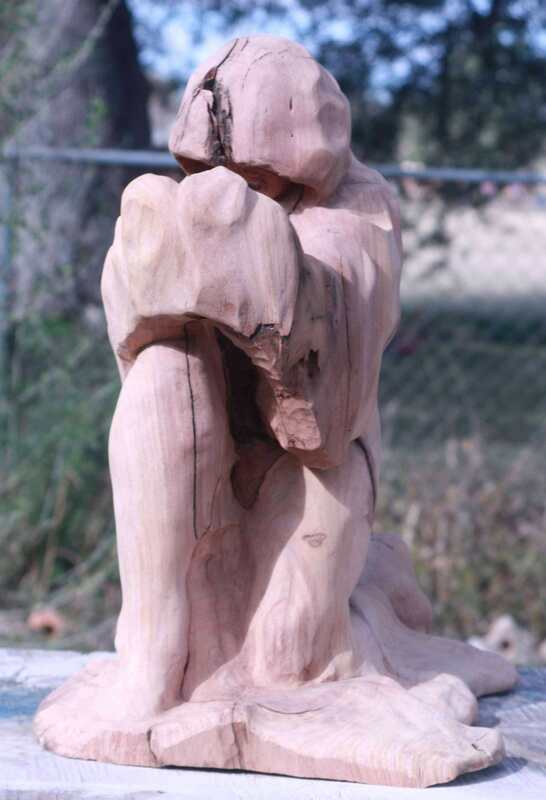 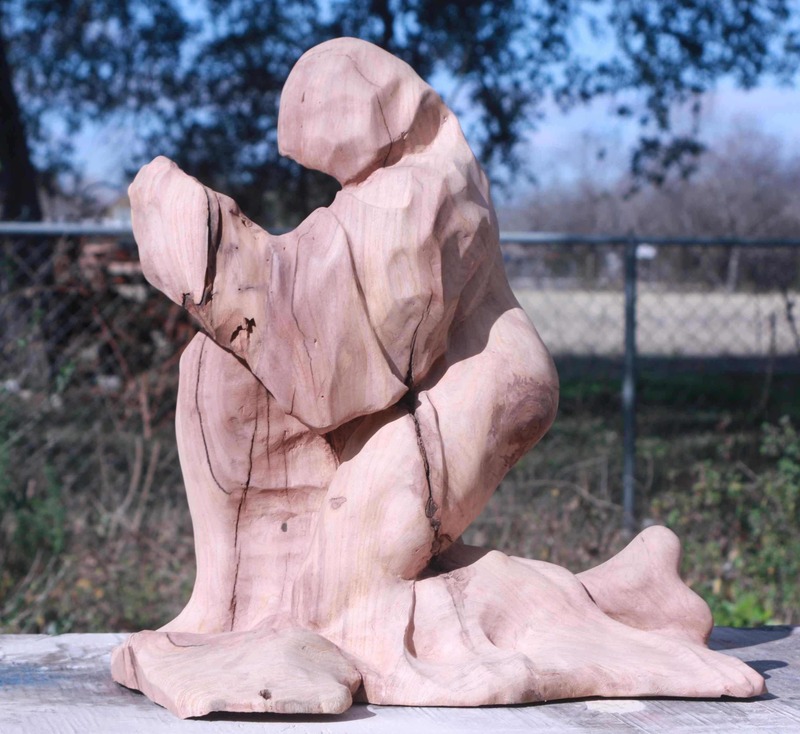 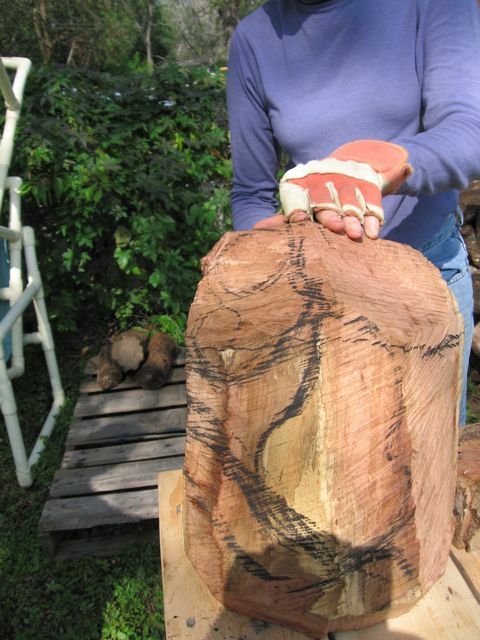 The sculpture, a work-in-progress, measures H17″ W4″ D3″ and is made of pecan wood. 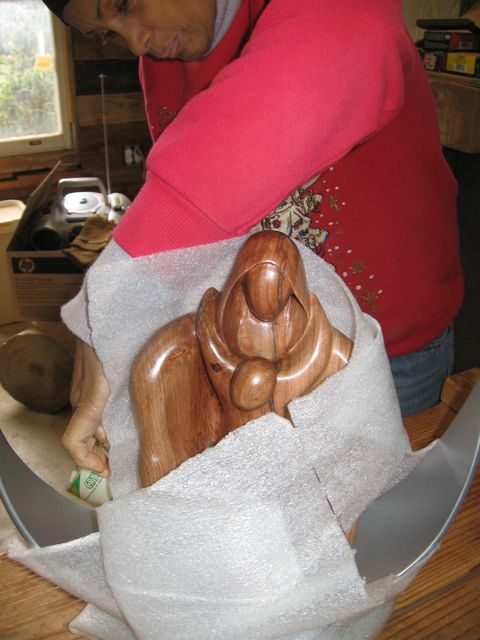 Marika is in the process of refining the figure and will soon begin sanding by hand. 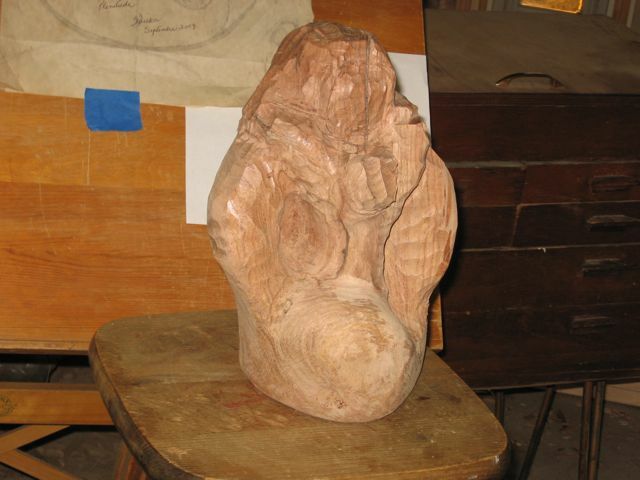 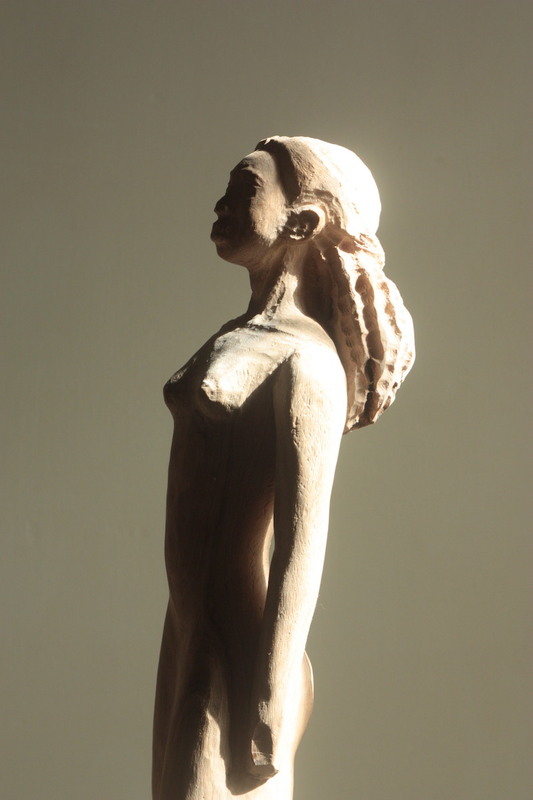 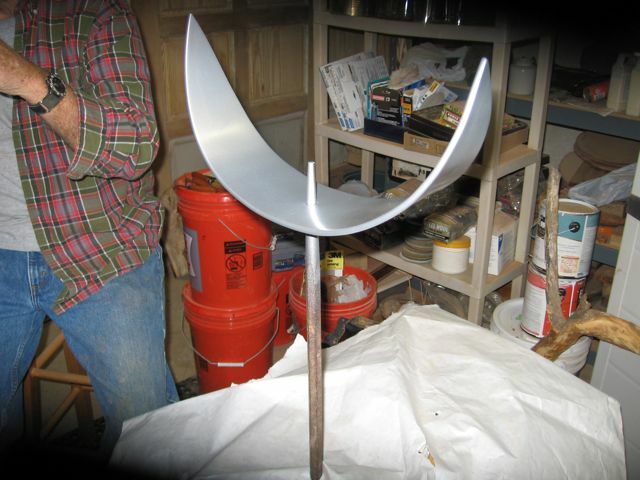 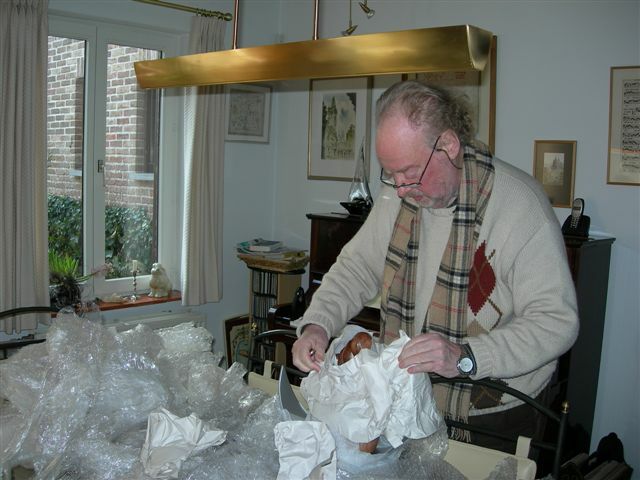 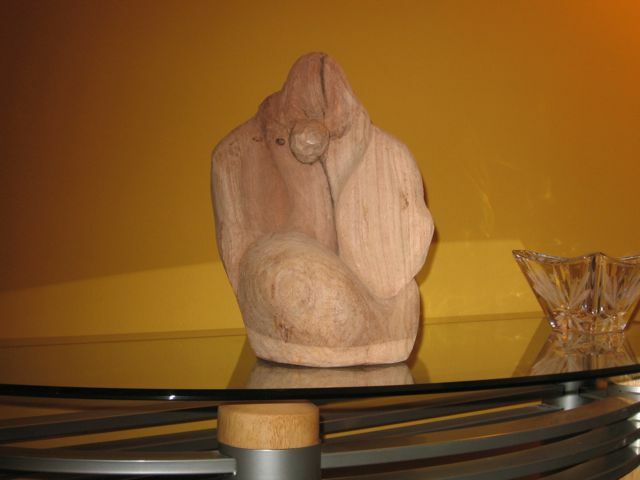 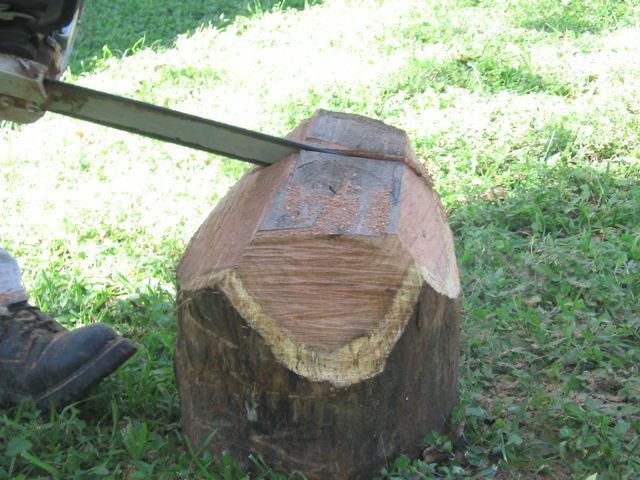 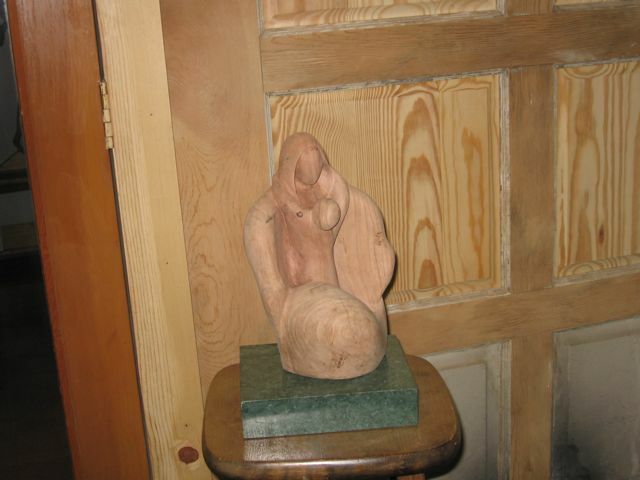 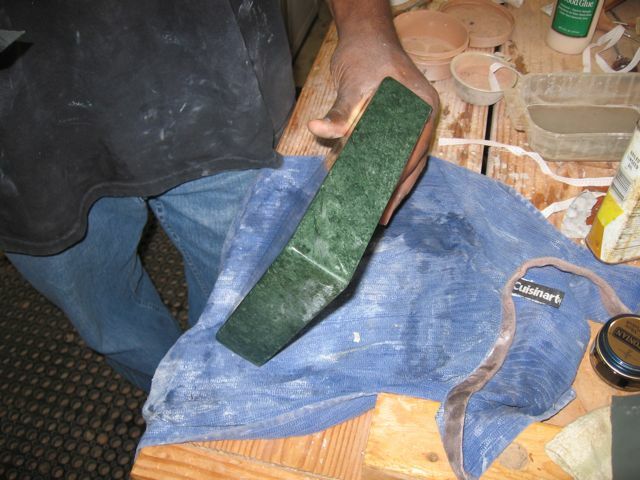 This third installment shows the sculpture at the very early stages of sanding. 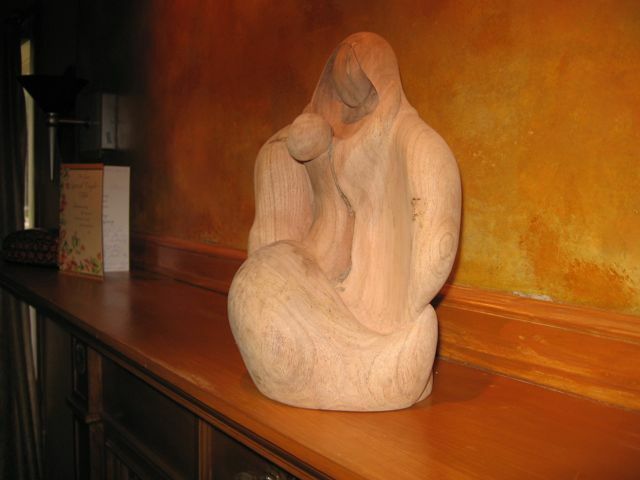 November 5, 2009: In the beginning there was ..
We are living in a state of grace.